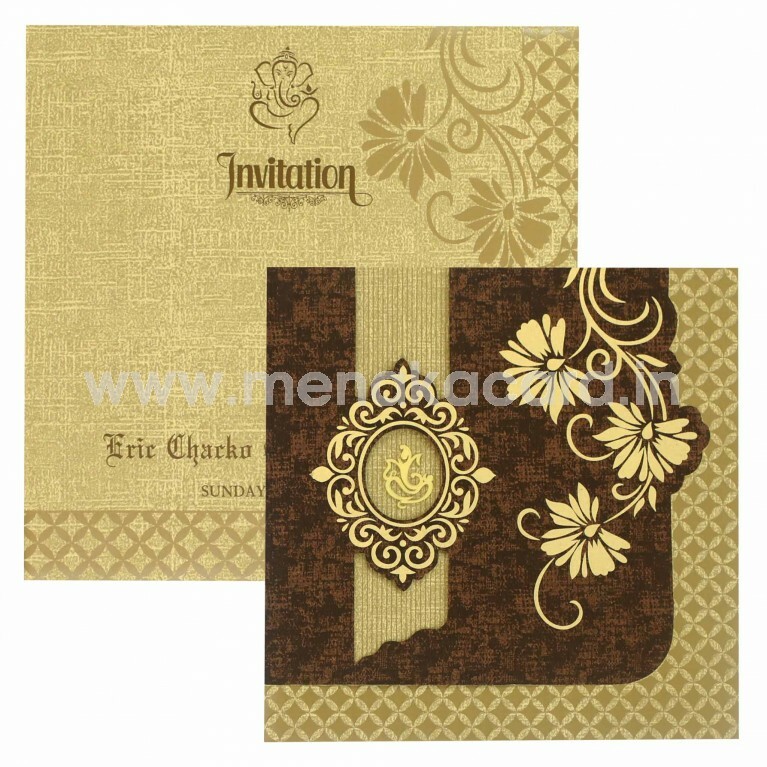 This delightful Brown and cream card is made from a matt finish and brown shimmer board material and is a double flap card containing a main brown flap with bold floral patterns accompanying an ornate floral die cut frame printed in gold ink and foil. 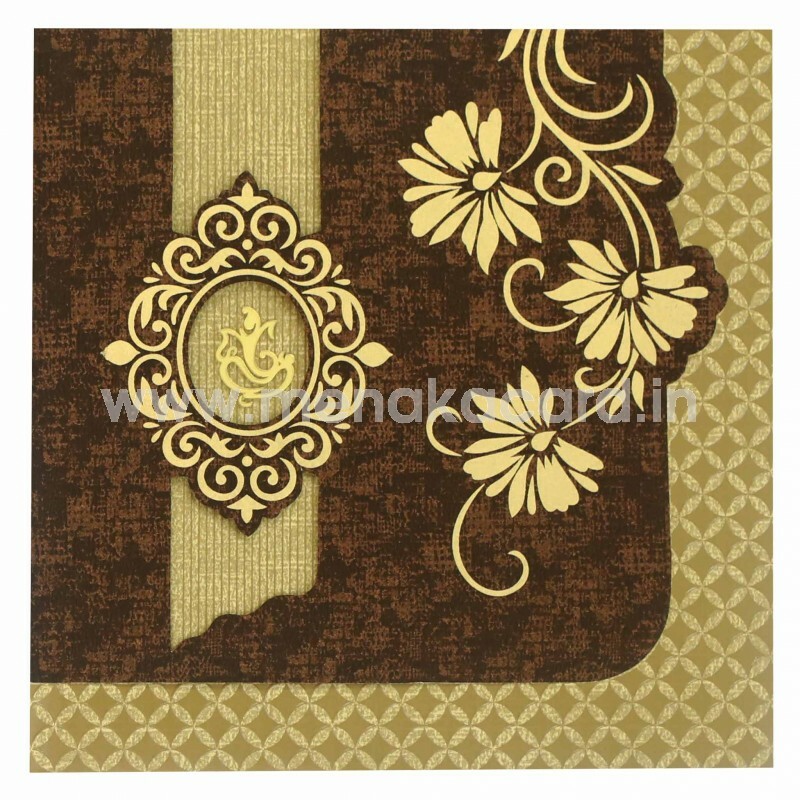 An ornate Ganesha laser sticker is seen through the die cut frame and is decorated on the outside of the flap with embossed latticed diamante patterns. 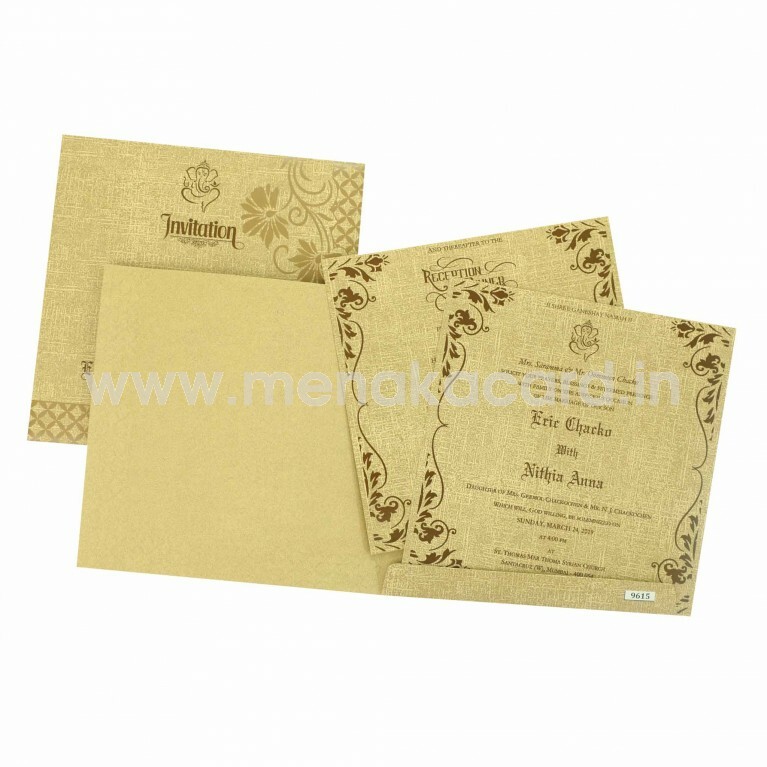 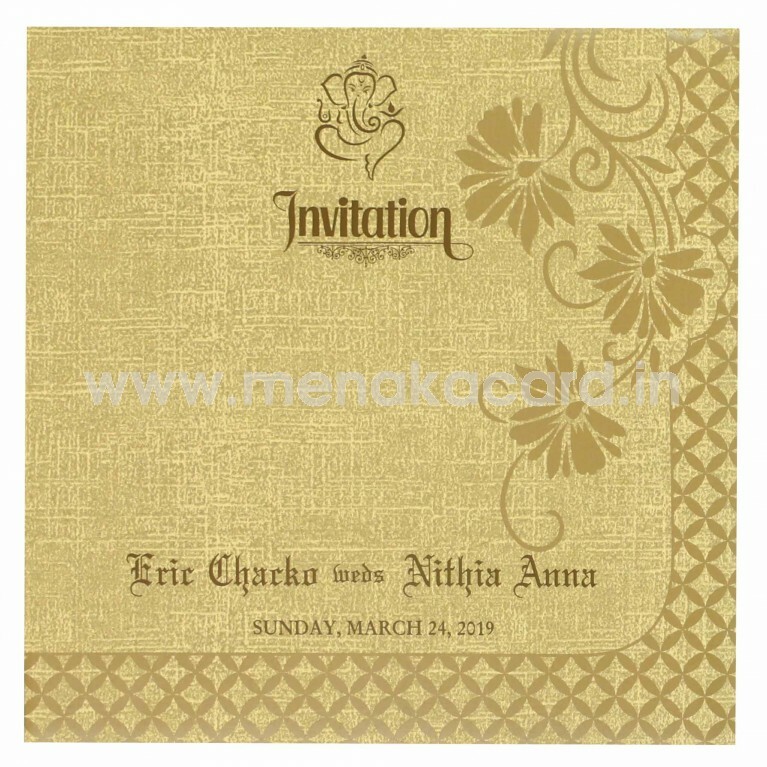 The insert of the card sit in a plain card holder and are made from the same dark cream material of the card with maroon text.This card can be used for all Hindu occasions including weddings, receptions, engagements, grahapravesham, upanayanam etc.